Check out our new Opt-Out page!!! We highly encourage parents to opt their children out of state mandated standardized tests and surveys as soon as possible. Student page coming soon!!! 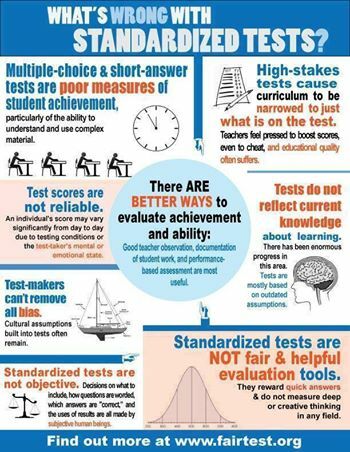 Here’s a great graphic on the drawbacks of standardized testing.